of activity all year round. 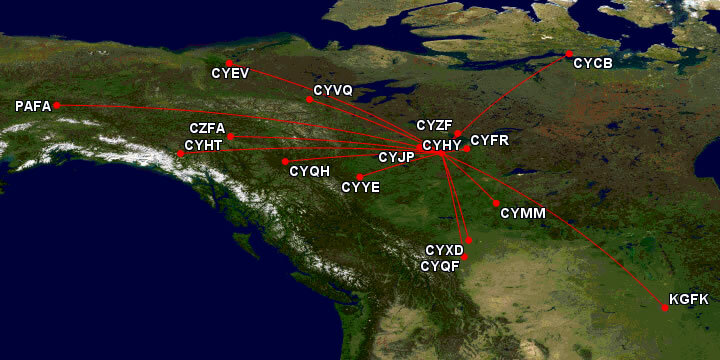 Buffalo Airways Virtual offers a daily passenger service aboard our vintage DC-3's from Yellowknife (CYZF) to Hay River (CYHY). We also use Hay River for maintenance and storage for some of our aircraft.